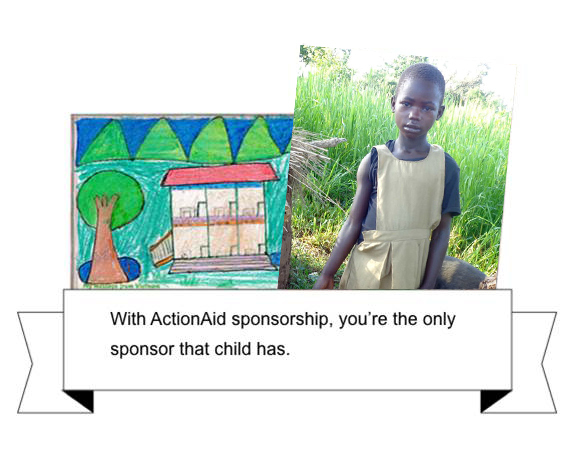 Agnes, 9, is a sponsored child from the war torn province of Amuru, Uganda. Here, 38% of children Agnes’ age aren’t enrolled in school. Thanks to child sponsorship, Agnes is closer than ever to her dream of going to university. For more than 30 years we have supported communities around the world to lift themselves out of poverty. Because of Child Sponsors communities where we work know that they can rely on regular financial support. This allows them to plan ahead and transform their lives in a sustainable way. This gives children like Agnes the best possible chance in the future. As soon as you sign up to be a sponsor, we’ll send you a welcome pack with a photo of the child you’re sponsoring and their story so far. You’ll get two messages a year from your child – they might be letters, drawings, or postcards! Twice a year you will get an update from our staff in their country. You will see the progress of a whole community through the child that you sponsor.